To resize an entire animation path so it fits into your scene's composition better, convert the animation into a Symbol, then resize the Symbol itself. Refer to the Library chapter to learn how to create and import Symbols. You can edit keyframes and control point parameters, such as the position, continuity, bias, tension and lock-in-time using the Coordinates and Control Point view. 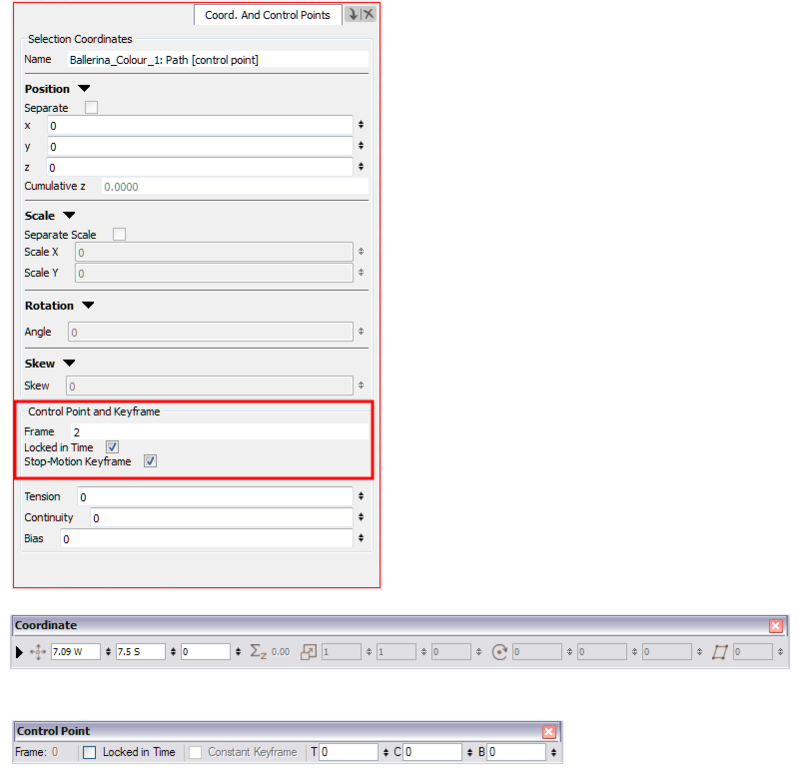 Each time a keyframe or a control point is selected in the Camera, Timeline or Xsheet view, its parameters appear in the Coordinates and Control Points view. You can also see the same information in the Coordinate and Control Point toolbars. 1. 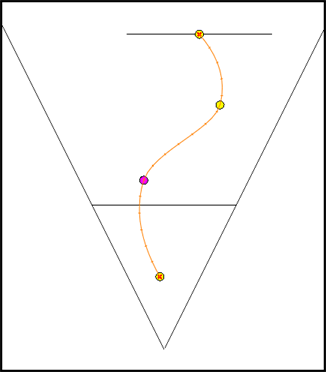 In the Camera view, using the Transform tool to select a point to convert. ‣ In the Coordinates and Control Point view, enable or disable the Locked in Time option. ‣ In the top menu, select Animation > Lock in Time or press [Alt] + [L]. 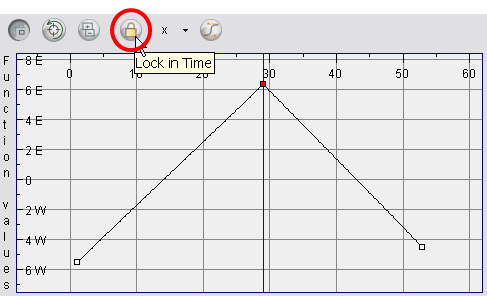 ‣ In the Function view or Function editor, select the keyframe to convert and click the Lock in Time button.